So you’ve decided to start a blog and create some powerful, valuable content. That’s what I’m doing and I think it’s still one of the best strategies for internet marketing and affiliate marketing. 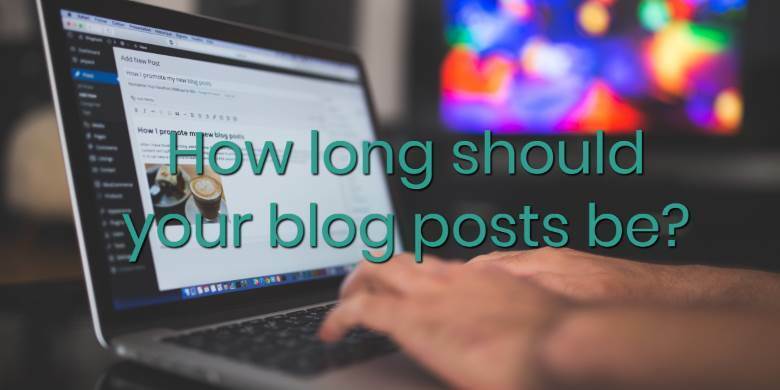 But how long should your blog posts be? This article will tell you my thoughts on the matter. They might not be in line with what you’re expecting and they might not match what some “experts” or “gurus” are saying, but these are my views. Well if you’re looking for a quick one-word answer, like “900 words”, I’m afraid you’ve come to the wrong place. As is often the case, the answer is “it depends”. And that’s because blog posts actually come in different shapes and sizes. More specifically, each post has a role to play based on its function in your blog category map or link silos. You might be thinking “what the hell is Leon talking about here”. Well I’ll explain here before we get into any serious numbers. You see, your blog should be made up of categories. These categories are extremely important. You need to decide on them before you write any articles. Don’t worry about getting them all right up-front, you don’t need to. You can add some, change some, remove some later. What’s important is that you start off your content plan (which you need before you write anything) by deciding on some categories. Now most people do a strategy called Link Siloing, which helps with your site structure and SEO. Link Siloing is a strategy for dividing up your content into categories and structuring your internal links in a specific way that maximizes your flow of visitors and SEO love from Google. Basically, you have a bigger stronger piece of content at the “top” of each category, and then you have a number of support pages that relate to that content. And each of the supporting pages has an internal link (with exact or partial match keyword-optimized anchor text) to the head category page. The category page might have some links to some supporting pages too. 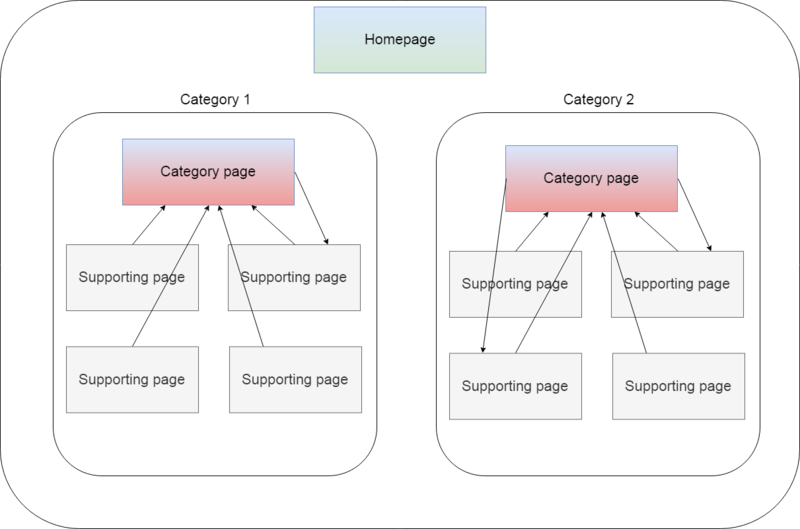 And supporting pages can link to each other, there’s no problem there (though not too many). Generally, the category pages will be a tougher competition medium-tail keyword that you want to try and rank for. And so to maximise your chances, you create the supporting pages with internal links to the category page to maximise the link juice to that page and try and push it up the rankings. What types of blog posts are there? So there are different types of posts. Category posts (which you’re trying to rank on a more general and therefore tougher competition keyword), and supporting posts. So the post type will have a bearing on how long your posts should be. Then there are also two more optional types: money pages and ultimate guides. Money pages are based around reviewing, promoting or selling a product. The word length for those can vary a lot depending on what sort of product or review you are doing. But usually money pages are advertised, so the word length doesn’t matter as much (ranking for them in Google is a bonus but if a page can convert directly to sales, you can pump paid traffic at it, so it’s SEO position doesn’t matter as much). The other post type is Ultimate Guides. Not many people do these (though they are becoming more popular. These are big (really big) posts that go into massive detail about a topic. There’s a guy called Primoz Bozic who is an expert at these (I’m not an affiliate or associate of his, I’ve just read some good material he’s done on this topic). My general guidelines for post length for these different types are as follows. Ultimate guide: 5,000 – 15,000 words. Keep in mind that when in doubt, write longer content. There is pretty much no disadvantage. Longer content has multiple advantages. The main one is that Google loves long-form content, and the more juicy LSI keywords and phrases it has in it, the better it will rank for your real keyword. The other is that people like long-form content too, and are more likely to link to a longer more authoritative piece than to a shorter one. And since Google also loves to see backlinks, this is a double whammy from an SEO perspective. Now this is not to say that you should ramble on or do keyword stuffing or anything dumb like that. Write good, punchy, valuable content. In fact, you should often be trimming down your content to remove unnecessary words. The trick is not to have words for the sake of words, but to have more ideas. You want to try and express as many powerful ideas as possible in as few words as possible (for each idea). Those numbers for ultimate guides are not a typo. I really think they should be 10K words or longer. I wrote a 10K word article on an older blog of mine and it made a huge difference in site visitors and backlinks. It basically took the site from 5K visitors a month to 10K. It can make that big of a difference. Obviously it is a lot of work and I wouldn’t recommend it when starting out. I would build up a traditional link silo of more typical articles first. Then when you want to do a big push and try to get to first page for some competitive keywords, your Ultimate Guide can help you get over the edge. Anyway, read Primoz’ stuff if you want to know more about this strategy (he has an expensive course teaching just how to do Ultimate Guides – I haven’t taken it myself and am not an affiliate of his). I hope you found this article helpful and have a better understanding of link silos, ultimate guides and word length. Do you have different ideas on how many words a blog post should have? Let me know in the comments!